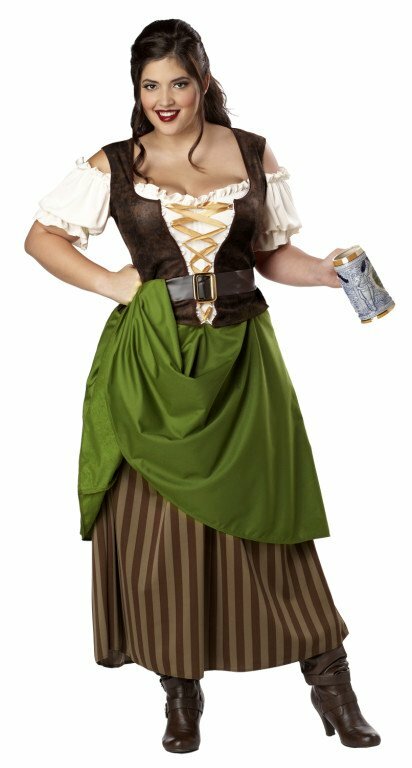 Available Sizes/Colors: Size "1X (14-16)" "2X (16-18)" "3X (18-20)"
Sling the drinks and flirt with the patrons in this plus size adult tavern maiden costume! Includes dress with two-layered skirt, off-the-shoulder peasant style sleeves and attached brown faux leather lace-up vest; and brown vinyl belt. By California Costumes. Also great for a Rosmerta or pirate wench costume! 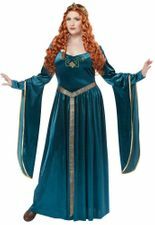 See more options in our Renaissance Costumes and Medieval Costumes sections!